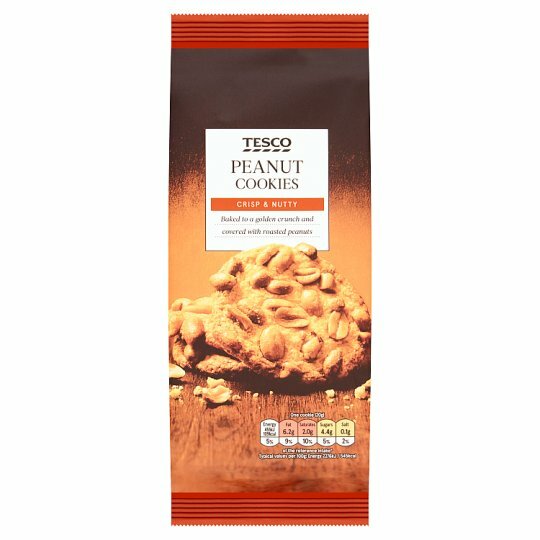 CRISP & NUTTY Baked to a golden crunch and covered with roasted peanuts Our bakers have been baking biscuits for more than 150 years. Passing down their knowledge and care from generation to generation. Taking classic recipes and making them the best they can be. Wheat Flour, Peanut (29%), Sugar, Palm Oil, Rapeseed Oil, Coconut Oil, Pasteurised Egg, Salt, Raising Agents (Sodium Bicarbonate, Glucono-Delta-Lactone), Milk Proteins, Invert Sugar Syrup, Flavouring, Dextrose, Sunflower Oil. Also, may contain other nuts.. For allergens, including cereals containing gluten, see ingredients in bold.